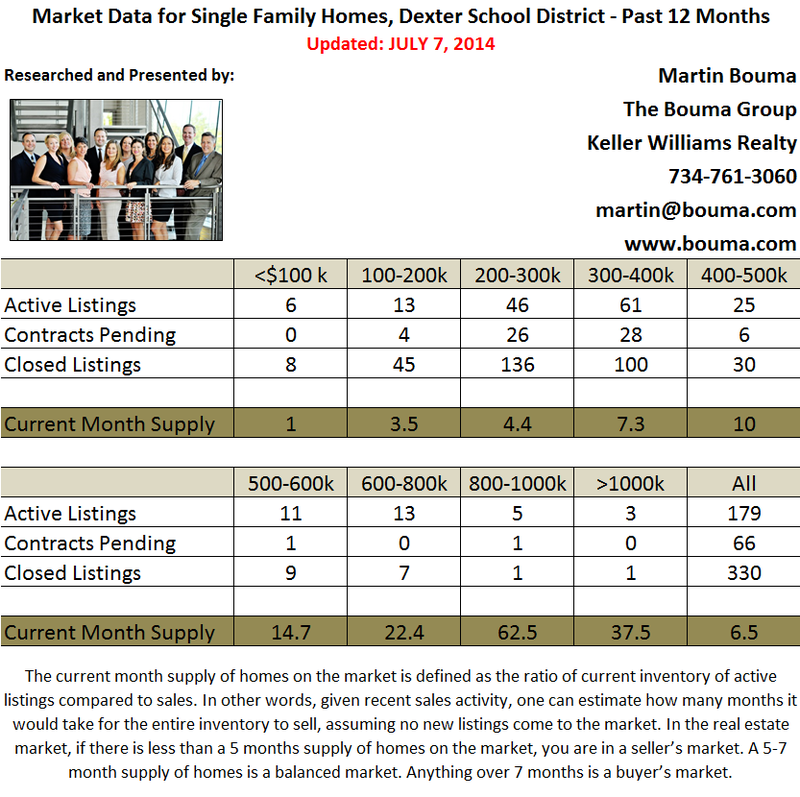 Dexter Real Estate finishes the second quarter of 2014 in a balanced market with a 6.5 months supply of homes listed. Inventory has risen 23% since the end of the first quarter and sales have remained about the same. Sales also remain virtually the same as this time last year. 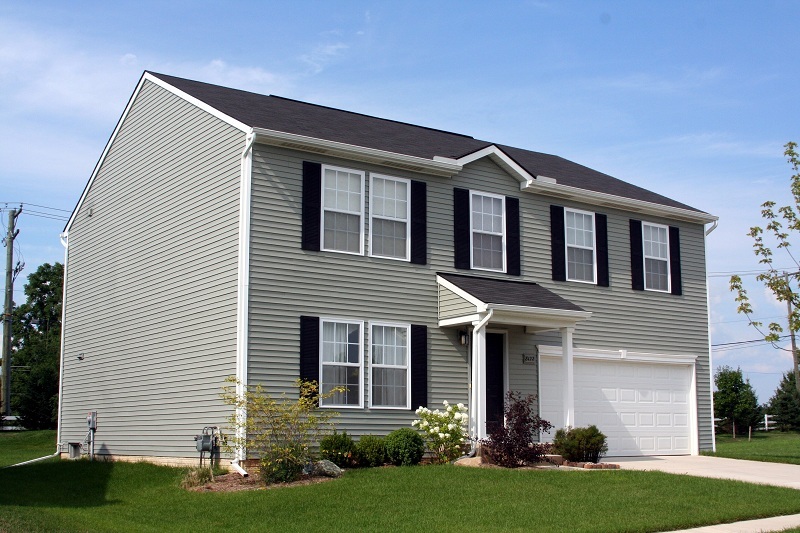 In 2013 at the end of June there were 207 homes listed for sale, so even though inventory rose during the second quarter, it is still down 14% over last year. Historically, sales tend to rise towards the end of the year for Dexter, as more homes are listed in the summer months with closings following during the fall. 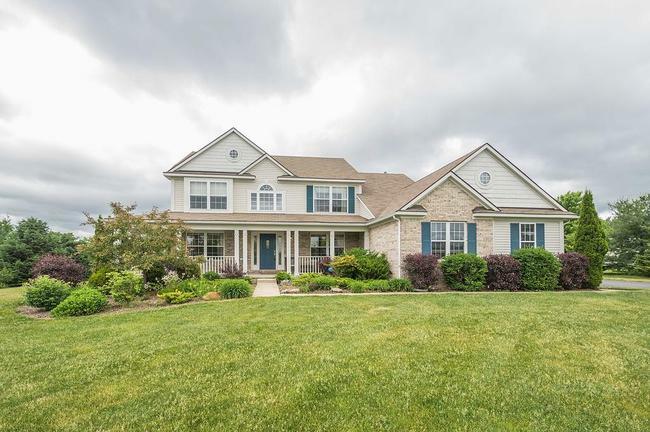 To find out more about home values in Dexter and listing your home for sale, contact us at The Bouma Group at 734-761-3060 or info@bouma.com. 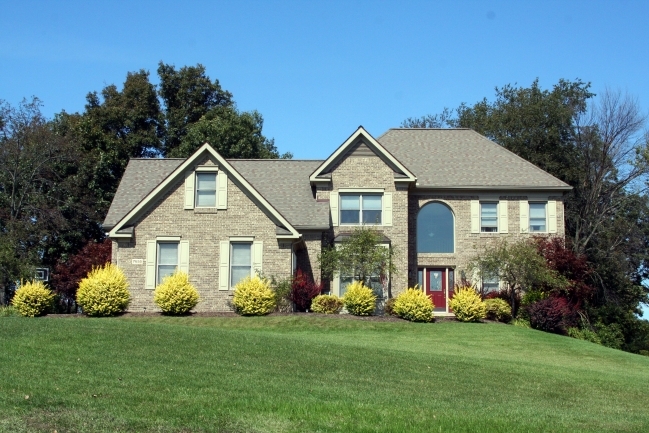 Search for Dexter Homes, get a FREE home market analysis, and view our Featured Homes! 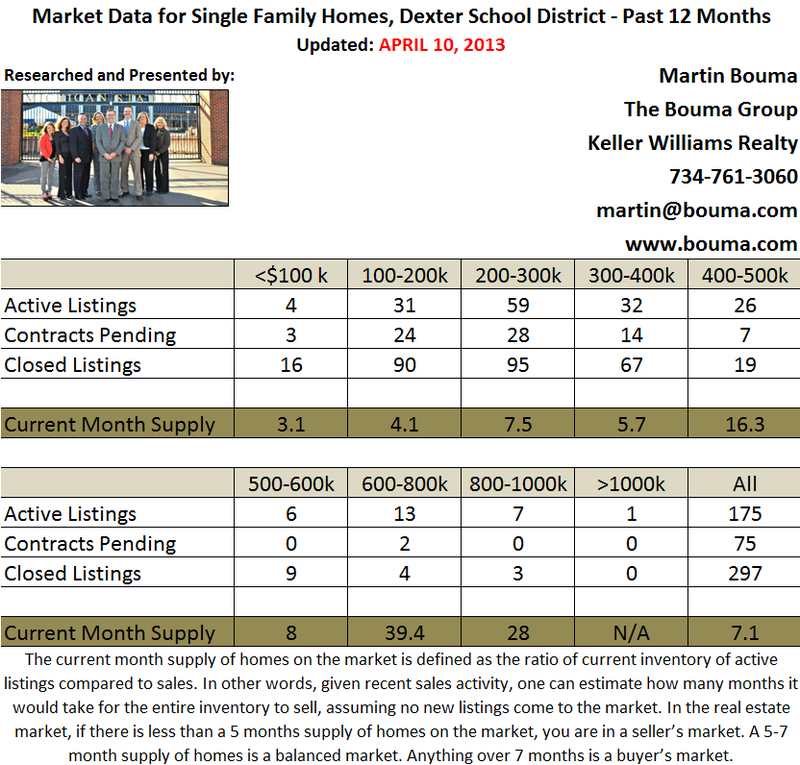 Spring Dexter Real Estate Market Heats Up! The spring real estate market is in full force and we are seeing increases in inventory, homes under contract with buyers, and sales. The rise in inventory has pushed Dexter into a slight buyer’s market with a 7.5 months supply of homes listed for sale. Homes are still going under contract at a swift pace and a steady increase continues to show a recovering market. For more information on the Dexter Real Estate market and to find out what is happening in your particular subdivision, contact us at 734-761-3060 or info@bouma.com. Here at The Bouma Group, we keep a close eye all real estate trends and provide you with a monthly update and statistics report. Be sure to check back here at our blog for new updates. Want to know what your home is worth? 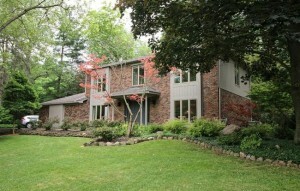 Visit www.annarbormarkettrends.com for an instant valuation for your home now! When comparing the number of listings at the beginning of March with that of the beginning of January, inventory has increased by 59%. The number of contracts pending has increased by 121%, which is a strong indication of high buyer demand in the Dexter area. Closed listings for the past 12 months has remained steady, but this number will increase as the contracts pending begin to close. What does this mean for you? 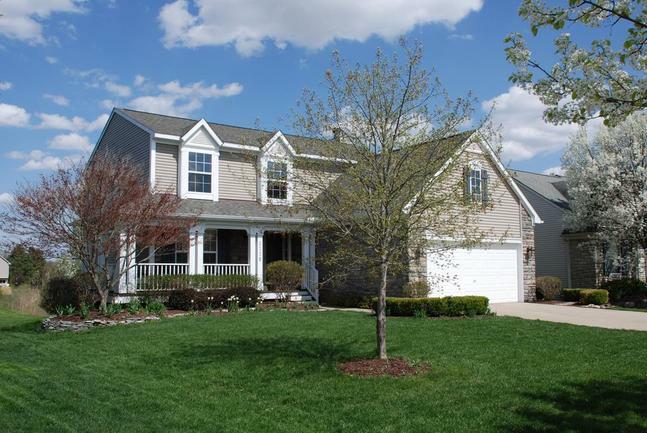 If you’re a Dexter homeowner that has been considering selling, now is the time! The spring market is here and with interest rates still at historic lows, buyers have more purchase power than ever. To find out what your home is worth in today’s market, get a free home valuation here, it may be worth more than you think! For more information on these statistics and the Dexter Real Estate market, contact the specialists at The Bouma Group today at 734-761-3060 or info@bouma.com.